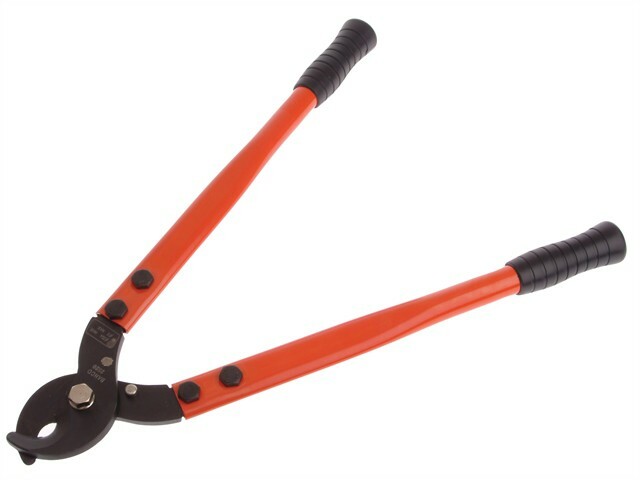 Cable Cutter for cutting Aluminium/Copper cables (telephone cables, electrical cables etc) with or without messenger wire. Recommended maximum capacity: Alu/copper diameter of 30mm with a messenger wire (1800 N/mm2) of 6mm. Warning: for a maximum service life, the sharpened parts of the blades must never be used on ferrous material. For this purpose, use the notches on the blades.